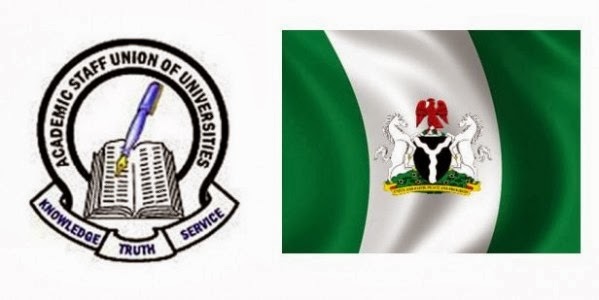 The Academic Staff Union of Universities, ASUU, has alleged that the Federal Government has breached a section of an agreement it signed last year to end a five-month old strike by university lecturers on December 17th. The union said the government has failed to release the N20 billion it pledged, amongst other commitments, to universities at the beginning of each quarter of the year. Speaking to journalists at the University of Ibadan, Friday evening, ASUU National Treasurer, Ademola Aremu, said part of the agreement reached with Federal Government was that the government would pay N20 billion at the start of each quarter to cater for areas of needs identified in the needs assessment carried on universities. Mr. Aremu, who spoke on behalf of ASUU president, Nasir Fagge, said the union had to start raising the alarm now to avoid the embarrassment the last strike caused the nation and its education system. Last year’s strike by the union paralysed academic activities in all public universities in the country for nearly six months, over ASUU’s insistence that Federal Government fulfil an agreement reached the union in 2009. Describing the strike as needless but inevitable, Mr. Aremu recalled that if the government had been sincere, academic activities not be disrupted as is often the case when lecturers go on strike. “All the strike ASUU had embarked upon in this country were basically because the Federal Government has failed to honour agreements freely entered to with us. It is also sad that before we begin each of those strike, we would give the government enough warnings and grace to make them retrace their steps. But they always fail,” Mr Aremu said. Earlier, the ASUU chairman at the University of Ibadan, Olusegun Ajiboye, said it was unfortunate that successive governments in Nigeria don’t learn from history as they always wait till major standoff with their members before doing the needful. According to Mr. Ajiboye, the strike would not have recorded the level of success it did if the press did not stand by the lecturer. He, however, said the struggles was not over yet, saying journalists must see it as duty to monitor proper disbursement of monies promised to be injected into the university system. “You must ensure that every money is used for the purpose it is meant for.You must also challenge us to justify the fruit of the fight. When we are going astray, please do not keep quiet. That is your mandate as the fourth estate of the realm,” he said. The ASUU boss also charged journalists to take deeper interest in the crisis rocking the Ibadan-based Cocoa Research Institute of Nigeria, CRIN, where he said the management was treating the staff in unfair manner. Bayo Okunade, a professor of political science, who represented the UI Vice Chancellor, Isaac Adewole, said if the press had not communicated the demands of ASUU to Nigerians effectively, it would not get the public appeal it got, and may not have been a success.